Mountain biking provides a great way to explore the national parks for those who would rather cycle than walk. And recent developments in park rules and regulations mean there are forty parks where both activities – hiking and biking – are practiced. If you’re the kind of person who prefers exercising with two wheels instead of two feet, these are the parks you need to visit for maximum fun. 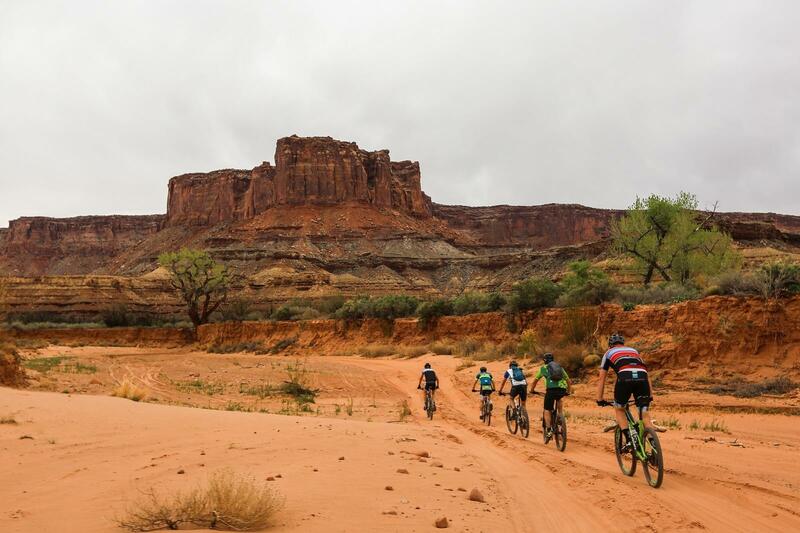 For breathtaking views of sandstone cliffs, you can’t beat the White Rim Trail in Utah’s Canyonlands National Park. The route is suitable for novices and experienced mountain bikers alike. So, it’s a great place to either get started or improve your skills. One word: volcanoes. If that doesn’t leave you excited to give mountain biking in this park a try, we don’t know what could! Cycling in this Hawaiian national park will take you around Hawaii’s still-active volcanoes. When you’re finished, you can head off to any of the island’s beaches to reward yourself for a job well done. For some truly awe-inspiring scenery, bike your way through the redwoods in northern California. Cruising down any of this park’s trails, dwarfed as you are by the towering redwoods surrounding you, is sure to be an unforgettable experience. Especially adventurous climbers can even choose to surmount the equally impressive 1600-mile Little Bald Hills Trail. With miles of tall, skinny cacti to spare, this sparsely decorated, but still majestic national park also serves as the gateway to the Arizona Trail. It features over 800 miles of mountain biking trails for the most avid enthusiasts! Take the Rim Drive route around the park’s namesake for unforgettable views and challenging climbs. And, if you visit on certain days each year, that route even closes to all automobiles. So mountain bikers and hikers have the place to themselves! Also check out our videos with Alan Mandel (on our homepage). You’ll see other great places where to do some great mountain biking. Looking for more activities that will make your next national park trip the best yet? Contact the experts at Visit USA Parks, and together we can plan your dream vacation.